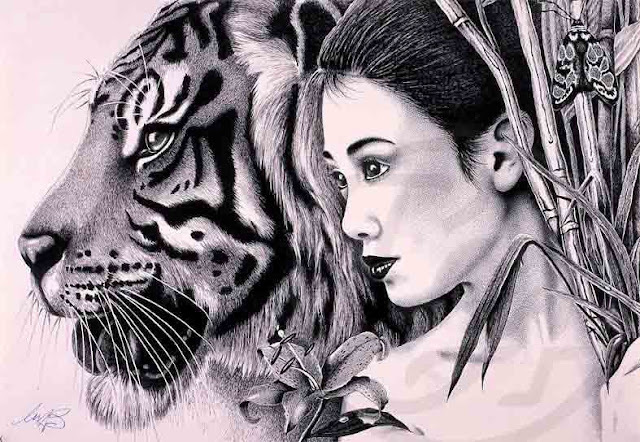 The Plot Analysis of The Lady or the Tiger? Regarding this story, the story is telling about the Barbaric King whose an idea of punishing someone is guilty. The King manifesting his idea into the amphitheater called “The King’s Arena”. When there is a subject accused of a crime, this is the place of punishing him. The Accused subject who cast into the prison posted on this arena. Inside this arena, there were two mysterious gates which inside one of this gate there was the fiercest tiger who ready to tear him to pieces. The other door, there was a woman. When the accused subject chooses this door, his innocence was acknowledged by his own fate. Indeed, The king has a purpose behind this arena. The King’s Arena was built to develop the mental energies of the people. The other side, the King would show to his masses the real definition of the justice in this way. This story contains the conflict for sure. However, the conflict of this story began when the king has discovered that there was the Youth who loves his daughter. From there, the Youth has cast to the prison. Indeed, this man would be punished to the King’s Arena. Actually, that wasn’t the real conflict. The actual conflict happens inside the princess mind. Why the actual conflict occurs inside the princess mind? Because the Princess was in anxiety when his lover got punishment in the King’s Arena. By the way, before I go further, I have to tell you something that the Princess is the one who knows the secret behind the gate. When the appointed day has come, the actual anxiety occurs in her mind. It’s because of the doubt, when she gives him a direction to the Tiger’s gate, her lover would meet with his demise. On the other hand, when she gives him a direction to the other gate, it’s mean that her lover will be the other maiden’s possessed. Here is The summit of the problem. Eventually, she gave him a direction to one of those mysterious gates. She raises her right hand to give him a hint to the right gate. So, based on the story, the Princess got the conflict inside her mind. Due to she doesn’t want to let her lover get merry with the other maiden. I think she gives him a hint to the Tiger’s gate and let the lover die in a pathetic death. The other hand, I think the Princess lover will not give up like a coward. In my opinion, the Youth will fight the Tiger back. It’s because of the author itself revealed that this Youth is a “brave to a degree unsurpassed in that kingdom”. That word makes me more convinced that the Youth will fight the Tiger back and it can give a slight probability to the Youth to win the match against the Tiger. The first is, the Youth will win then, he will make an implore to the king to set him free. The other probability is, the Youth will lose and then it will be the sad story ever especially for the Princess’s love story.